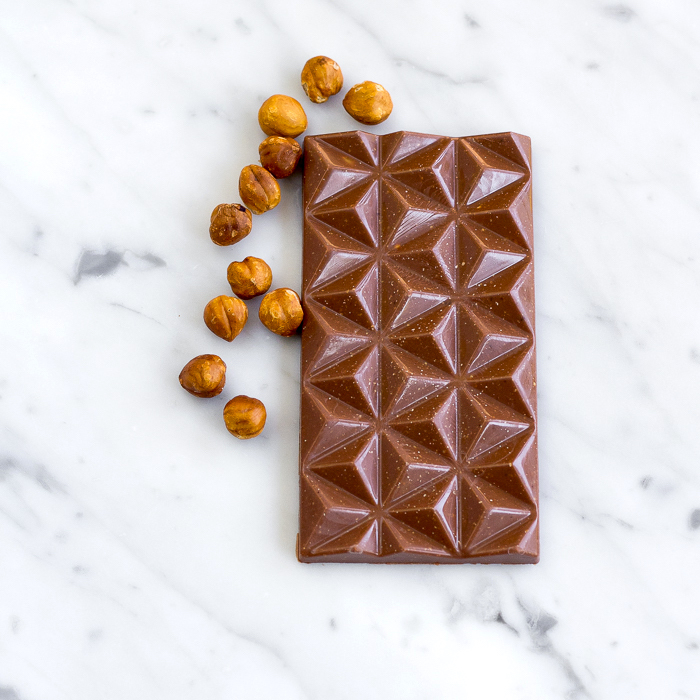 Freshly roasted hazelnuts are blended with a stunning 40% milk couverture to create a creamy gianduja, generously studded with more freshly roasted hazelnuts for crunch. 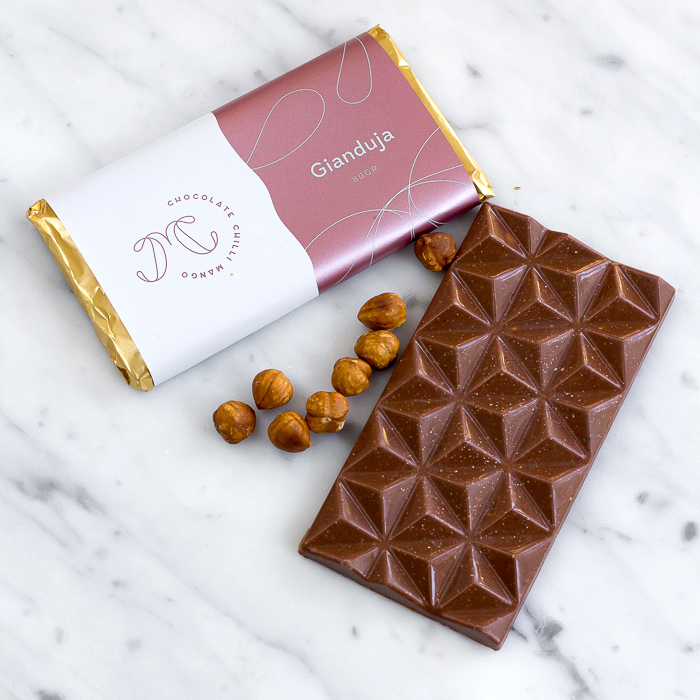 We think gianduja is possibly the best thing ever ... don't you agree? Store in a cool, dry place between 16°C - 18°C. 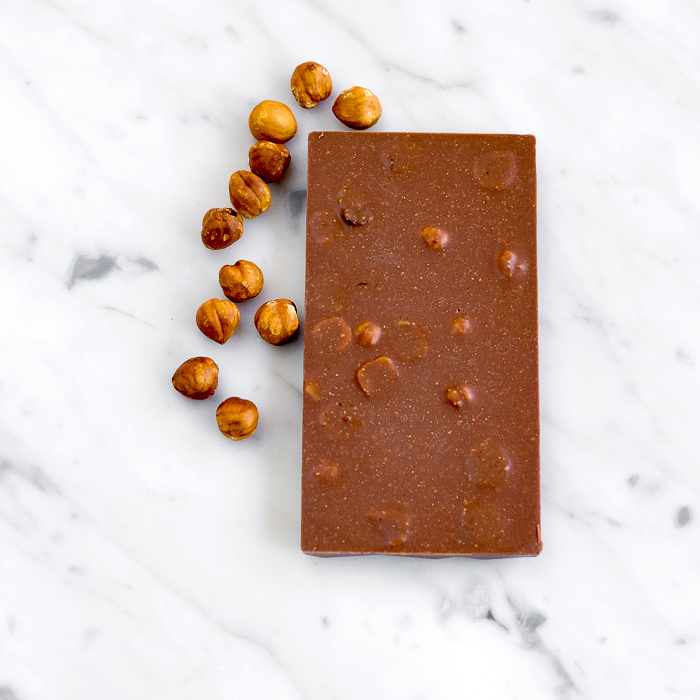 Ingredients: Cocoa butter, whole milk powder, sugar, cocoa beans, hazelnuts (33%), brown sugar, natural vanilla extract, emulsifier (soya lecithin), barley malt extract. Allergy information: this product contains nuts, milk, gluten, and soy products. This product may contain traces of other nuts, and egg proteins.